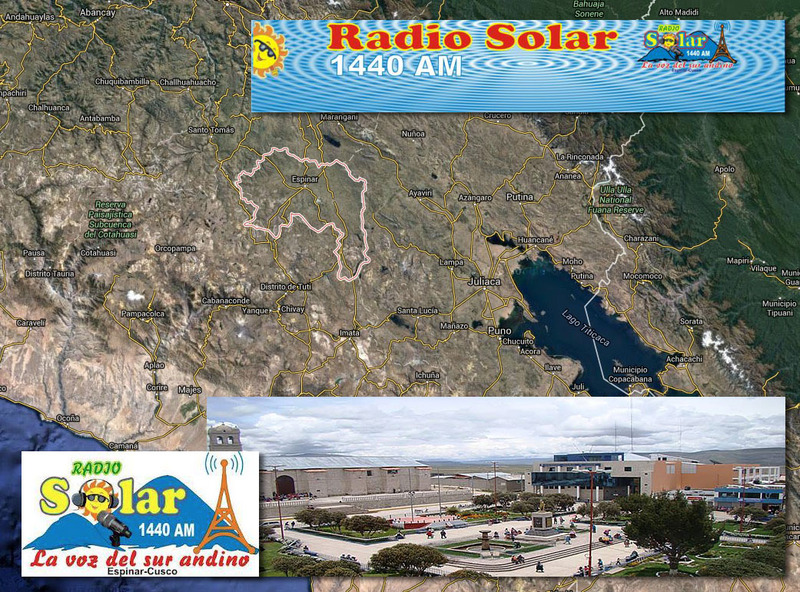 Radio Solar, Espinar, Peru verified my report from May 2015. 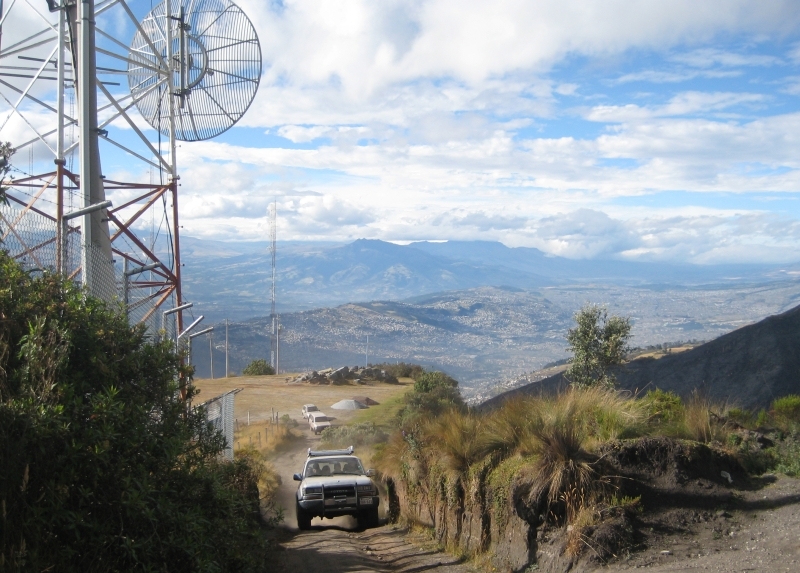 QRG: 1440 kHz, RX: Winradio G33 DDC Excalibur PRO, Beverage 250 mt. Peru MW-QSL #12. 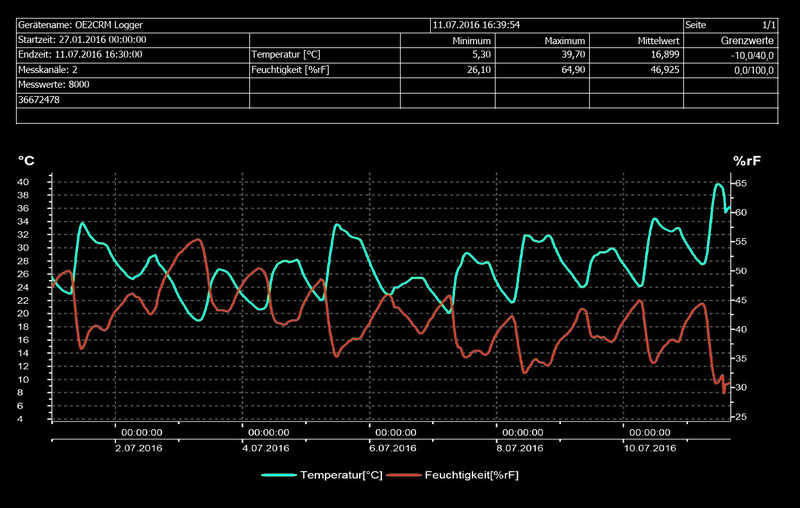 Today 39,7 °C (blue line) at my station. 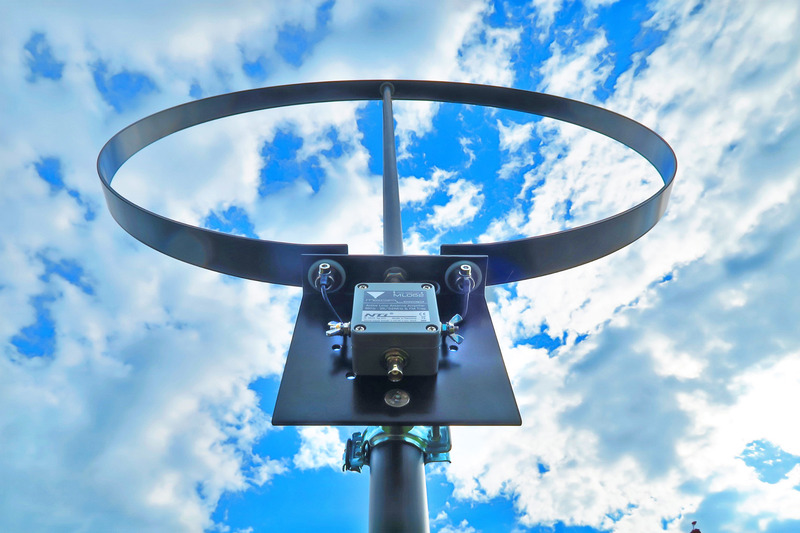 Fenu “BB-Loop” & Bonito ML052 Loop amplifier & Pronomic SPS-1S Tripod. Ingenious! 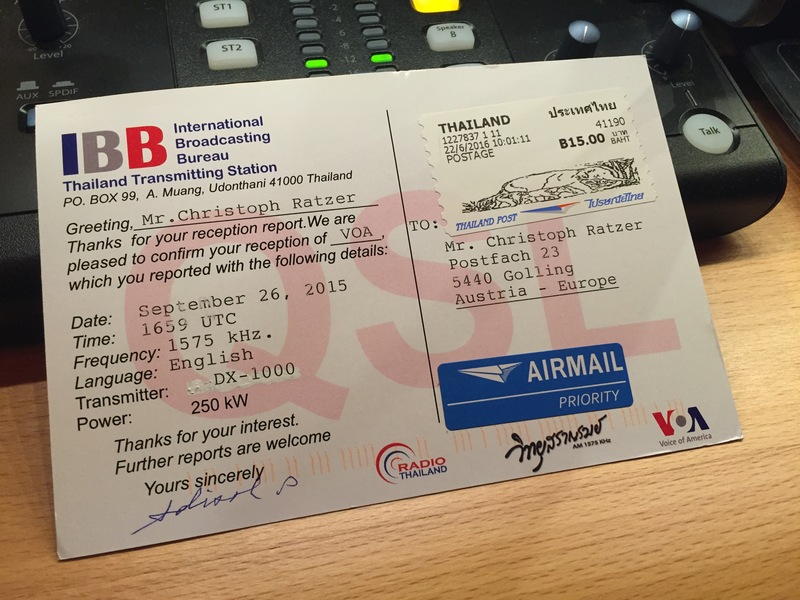 QSL card from IBB Ban Phachi, Ayutthaya, Thailand, 1575 kHz.